It’s very likely that you are considering how to make an Android app if you have pressed on until stumbling upon this article. The truth is that developing an app is not a simple process, regardless of whether its purpose is to improve your company’s productivity, to push ahead with a business endeavour in the mobile industry or any other aim. Broadly speaking, you have to be patient when starting a digital project — projects like creating an Android application. First of all, fetch a pen and a notebook and start taking notes. Take in the topic well before you start looking for Android developers. We’d like to introduce our tutorial on creating an Android app — a tutorial aimed at helping you gather all such information. Are you ready? Let’s get started… Ready, set, go! Why create an Android app? Please pay heed to the following if you number among those who are not sure of whether to create an Android app or not. You will be missing out on iOS users if you chose Android — for real. However, to proceed the other way round will also make you miss out on many other opportunities. In Spain, Android enjoys a greater market share. The story is a tad different in the United States: iOS’ share keeps on growing. Another reason is that an Android developer’s hourly fee is cheaper than that of an iOS developer. The variety of terminals is also bigger, which means a better chance of being able to keep on growing. On the other hand, iOS works only on Apple devices. And last but not least, Android is a much more customisable operating system. How is creating an Android app different from creating apps for other platforms? What should we keep in mind when creating apps for Android? As to Android native app development, the yield of our efforts will only work for Android. However, we’ll be able to use the yield of our efforts on other Operating Systems if we choose other kinds of programming approaches such as cross-platform apps. The final performance of your application may not be as good, though. When it comes to developing Android applications, choosing the kind of programming approach is important. You may not get the result you were expecting if you don’t choose the one that suits your project best. Take advice from experts to have more information about your case in particular. Every project is a world on its own. You may not need an Android app: a hybrid app might just suffice. There may be no difference with the development process of iOS applications. I.e. creating your Android app may require the same amount of time than doing so for iOS. The nuances reside in the diversity of programming languages and kinds of development. However, creating a native Android app will not take us the same amount of time as creating a cross-platform app. Find out precisely the amount of time that will be needed in each case. If you are in somewhat of a rush, you may need to consider alternatives to creating an Android native application. There are some tools available to you for getting an estimate. 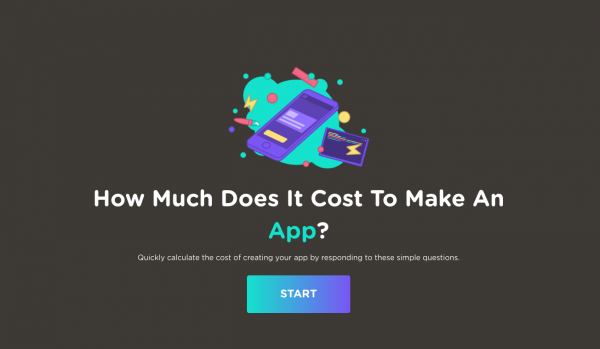 You can calculate your Android app’s cost with our tool Howmuchcostanapp.co.uk, for instance. But let’s now go to the facts. Developing an Android app may be cheaper than developing that very same app for iOS, even if the amount of development hours is approximately the same. This is due to the fact that the hourly cost of hiring an Android developer is lower than that of hiring an iOS developer. We must also take into account Android’s app design. The appearance and functionality will be very similar to iOS, generally speaking. However, the design will differ. There are buttons on Android devices that are not available on iPhones. The app’s design will be different for each Operating System. This will mean an extra expenditure to include in our budget, since — at least in terms of design — we’ll be addressing the creation of two apps. Surely, you’re also wondering about how to create an Android application that is profitable. In other words, an app that brings benefits. The truth is that Android apps are less profitable than iOS apps overall. Several studies point out that iOS users are more willing to pay for apps. On the other hand, Android users seek free apps. Therefore, monetising an Android app will prove a bit more complicated. You will have to work harder on your business model and your monetisation strategy. Your Android application’s business model must be present from the very outset of your project. You cannot create an Android app without having established what business model you are going to put in place. By business model, we are not referring to how you are going to monetise your app. What we mean by it is: What is your app’s purpose? It may be to obtain leads, to carry out branding tasks or any other purpose. By monetisation, we mean how to obtain an economic return. There are plenty of monetisation techniques, and we must choose among them depending on our business model. Pay-per-download does not work well for Android applications. As we said before, Android users expect to download the app for free. This is the reason why the freemium application model is increasingly getting ahead of other models. You must keep this in mind for your Android application project. In September 2016, apps published in Google Play numbered over 2.4 million. That is an endless “ocean” of Android apps. 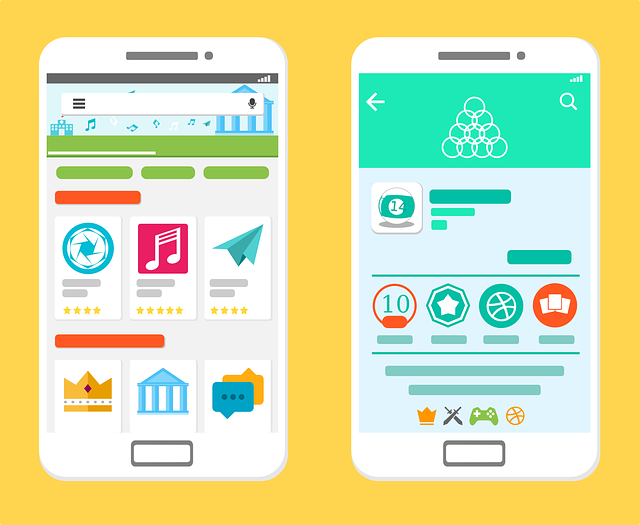 It’s precisely for this reason that you must pay heed to the apps created by your rivals in the industry if you are going to create an Android application. The current number of apps is huge and possibly there are many out there already addressing the same aspects as yours will. Keep in mind that you will need a good marketing and promotion strategy to get you app off the ground. Study what your rivals in the industry are doing before creating your application and develop it on the basis of what you have learned. We have been discussing plenty of things that you must keep in mind when creating an Android app. But what you really want to know is how to create yours in particular. Well, let’s carry on then with our tutorial on how to create your Android app. We’ll guide you step by step through the process of creating an Android app. This first stage involves coming in contact with your idea, with the industry and with mobile technology in general. There’s work to be done before you start looking for developers or designers. Let’s first have a real contact with your idea. The idea behind an Android app. Having a good idea is the first thing you need in order to create an Android app. It’s best if it covers a need, i.e. if it solves a problem that mobile users have. Check out what your rivals in the industry are up to. If Android applications have already been developed to cover such need, your app will have to be better than them. Ponder on your idea until you think it might be feasible. Mock-ups. In case you’re already clear about your idea, write down on paper how your app is going to look like. Make a simple, basic sketch, and disregard design concepts for the time being. The mock-up should reflect the app’s basic operation and user interaction. Try to make it easy to use and easy to understand for the user. In this second stage, we’ll shift our scope away from the idea and closer to the actual project. However, we are still not getting started — properly speaking — with creating an Android app. We need to define the project more broadly and in detail now. Android app business model and monetisation strategy. At this point, it’s high time you define your Android application’s business model. Creating an app just for the sake of it makes no sense at all. What do you want to achieve with it? How are you going to achieve it? That’s the knack to it, as well as the monetisation methods you’ll be applying. We include them in this stage since they must be established before moving into the app’s development and design stage. Android app project definition. You must elaborate a document reflecting all the aspects of your Android application. It must include things ranging from the most basic bits and pieces — such as mock-ups — to your app’s monetisation means or the colours of the brand’s design (if you have chosen them already). Don’t worry too much if it is not perfectly detailed and thorough: you may leave some things out. Things like if your design needs to be very specific or hiring a specialised consultancy firm. You can check our article on defining a good mobile project if you need some advice on it (titled: How to Write a Good Mobile app Project). We will now be seeing all the aspects of your app. This is the longest stage of the entire app development process. This is true for Android as well as for any other OS. We’ll be addressing now serious stuff: it’s the development stage. At Yeeply we believe that you should take the leap into the mobile world properly; taking the leap half-hearted or beating around the bush is not an option. Creating an app without thinking it thoroughly, developing it adequately or promoting it is of no use at all. We’ll get started by finding the Android professionals that fit your project best. Android app development team. If you don’t know how to make an Android app but want to create one, it’s best to seek professionals who do know how. Yeeply will help you find a good development team specialising in Android. This is, specialised in creating apps like yours. Android app design. It’s of paramount importance for your project that you keep app design in mind. You should think about the way in which Android operates if you want to design native applications for this operating system. This will affect material design animations, intelligent notifications, etc. Generally speaking, Android app design seeks visual simplicity. You might be interested in: How to develop a Generation Z-friendly app. Hire a Project Manager. You need someone to help you manage your Android app’s creation process. Not that you are incapable of it, but it will contribute to speeding the process up. This way you will be able to focus on more important issues and not on the project’s logistics. Yeeply can provide one to you to help you manage your project. Once all processes have been validated, your application is almost ready for its release. However, you will have to set some things up before launching it to ensure it reaches out to the widest possible amount of potential users. In fact, an app’s first week in the store is crucial to gain visibility and get its positioning going on the right track. ASO: the SEO of mobile applications. ASO is an acronym that stands for “App Store Optimisation“. ASO involves, in other words, positioning your app within the app stores. Keywords must be thoughtfully defined in order to obtain a good ASO for your Android app. It’s highly recommended to rely on an ASO expert for this task. Your Android app will not obtain many downloads if you don’t get to position it well. Get a press kit prepared. Prior to your app’s launch, it’s convenient to have a press package ready to be delivered to the media. Prepare a press release, promotional images of your app, and any other stuff you may need to attain a spectacular launch. It’s high time… to launch your app! Keep in mind that uploading it to the stores will not be immediate. It usually takes up a couple of hours on Google Play and on other stores — like Apple Store — it can take up to several days. Synchronise your app’s launch if you are releasing it for multiple operating systems. And once your app is uploaded, kick its promotion off while sticking to the plan you have devised in advance. Specialised media. I.e. in media covering the world of mobile applications as a whole, but also in media specialising in your specific industry. If you have created an Android app that deals with cooking recipes, you can promote it in media dealing with health and cooking, for example. Influencers. Establish relationships with influencers within your industry. Let’s say that you’ve developed a fashion app, for instance. You can then contact lifestyle or fashion influencers and suggest them to try your app. You will reach out to a larger audience if they like your app and promote it. Advertisements. You can always rely on ads. Ads other than those created for television, billboards, etc., all of which, by the way, you may also use. Take advantage of the on-line nature of applications to promote your app through banners, social network ads and in-app ads on other apps. We could suggest many more things depending on what kind of app you are creating. Our guide on how to make an Android app from scratch would then be too abiding, though. For the time being, we hope to have been useful to you in getting your way defined and look forward as well to helping you out in the process. Please feel free to tell us what your Android app is about! Being mobile app developers… And surviving the attempt!